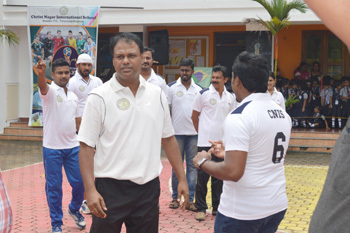 Futsal Show The closure of 2018 FIFA World Cup was marked by a Football Fives Match between the students and the staff of the school on 13 July, 2018. 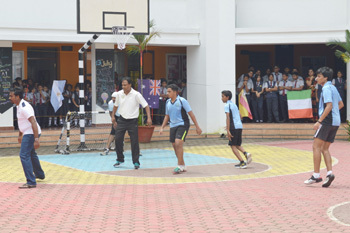 It was also taken up as a fundraiser for the charity drive in the school. 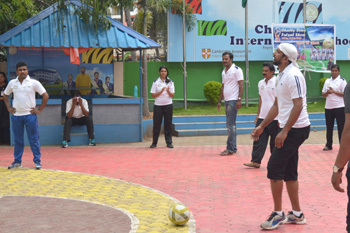 A gesture of buying tickets costing Rs 5 to see the match added a tinge of excitement to the whole fun. 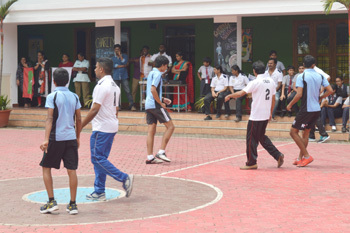 A half an hour match with a five minutes break saw the participating students and staff members playing in full vigour. 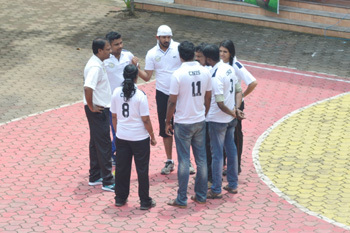 The thrill combined with the shrill of the audience changed the school ambience into a perfect football ground. At the end of the match the score stood 2-2 to which three penalty kicks were given to each team. 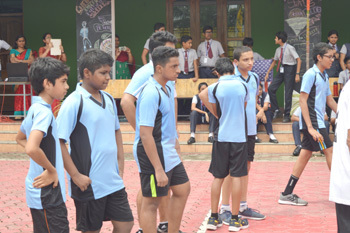 The score still stood 2-2 and an additional penalty kick had to be given in which the student team shot a goal changing the goal score to 3-2 making the student team the winners of the match. 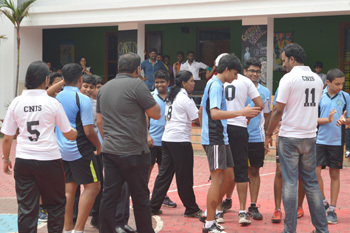 The School Principal and Vice Principal, who were also amongst the players of the staff team, congratulated the student players.